Below is a list of new materials that we have read/watched in recent weeks. The comments are not a “review” of the material, instead sort of an endorsement of ideas and investigations that can provide solid analysis and even inspiration in the struggle for change. All these items are available at The Bloom Collective, so check them out and stimulate your mind. 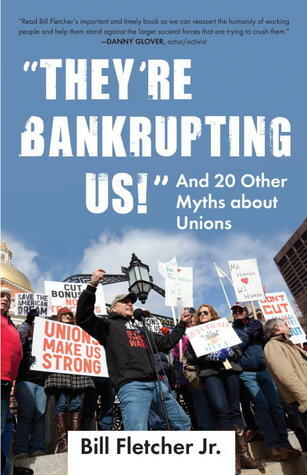 They’re Bankrupting US: And 20 Other Myths about Unions, by Bill Fletcher Jr. – With all the recent attacks against organized labor, particularly the anti-union Right to Work law, this new book by Bill Fletcher Jr. is very timely. The 21 chapters are stand-alone responses to claims made by anti-labor sectors and often the news media. Some of the claims are that unions cost too much, workers are forced to join them and that unions are destroying the economy. Fletcher, who has written numerous books on labor history/labor struggles, does a solid job of responding to each of the claims and acknowledges the shortcomings and historical instances where unions have not defended working people. Fletcher does not do enough to honestly assess the majority of labor unions relationship to the Democratic Party, but the bulk of the book is a valuable read for those who are in unions and those who are looking for sound arguments to defend workplace democracy. 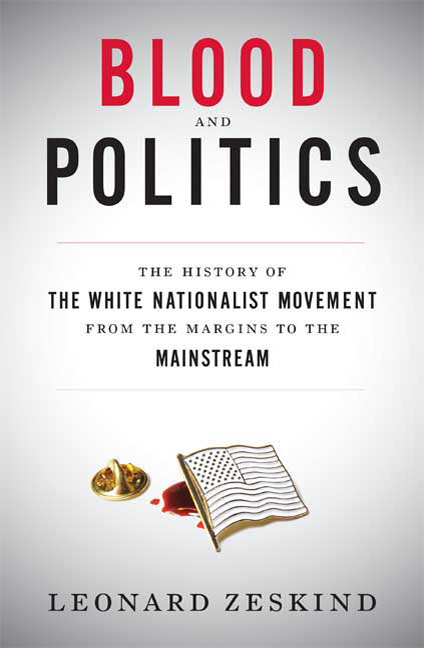 Blood and Politics: The White Nationalist Movement from the Margins to the Mainstream, by Leonard Zeskind – White Nationalist movements have been in the US for centuries and one could certainly argue that the country is founded on White Nationalist principles. In Blood and Politics, author Leonard Zeskind investigates the White Nationalist movements since the mid-1970s. These movements include the KKK, Holocaust denial groups, the Aryan Nation, Christian Patriots and anti-immigration groups. Zeskind’s work is well researched and well written, with good analysis of how these movements have interacted with electoral politics since the Reagan years. Parts of the book are particularly useful for those of us who live in Michigan, since Michigan has been home to many of these White nationalist groups, particularly Militia groups and anti-immigration zealots. Blood and Politics provides analysis up to and including the first few years after the September 11, 2001 terrorist attacks in the US. A valuable resource for those wanting some history on the groups that continue to engage in hate crimes and influence the move the right nationally on issues such as race, immigration and economics. 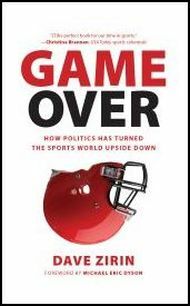 Game Over: How Politics Has Turned the Sports World Upside Down, by Dave Zirin – Game Over is yet another literary gem from insurgent sports writer Dave Zirin. In this newest collection of essays, Zirin demonstrates once again that sports and politics do go together, even if the owners of the sports world do their best to prevent that from happening. Zirin not only tells the stories of heroic athletes who dare to challenge the “Jockocracy,” he provides analysis so powerful, its like being run over by Houston Texans defensive lineman J.J. Watt. Game Over dissects recent sports stories, like the Penn State scandal, soccer and the Arab Spring, class war against sports team owners, racism, sexism and homophobia in the sports world. What makes Zirin’s treatment of these topics so elucidating is his ability to weave history into the analysis, in order to demonstrate that sports and politics have always been intertwined. If you care about injustice and the struggles of people around the world, you would be missing out on a great deal by not reading this book. Corporate FM: What Happened to Radio? (DVD) – Corporate FM is about what happens when a city loses a communal microphone. Radioʼs broad coverage gives it the ability to unify huge populations. Unlike Facebook, Satellite radio, or web-based music sharing apps, locally owned terrestrial radio can reach thousands of people across all incomes and ages in a local region at the same time with a message that is relevant to them at that moment. Worse, the death of privately operated local radio stations is not just destroying the stations that are bought up, but damning the future of all stations on the dial—the public and college stations as well. The entire medium of radio becomes threatened when there are only two stations worth listening to. By investigating how the financial system gutted commercial radio instead of growing it, documentary ﬁlmmakers Kevin McKinney and Jill McKeever reveal the problem and propose a solution that could revitalize the medium and rejuvenate the communities that radio is legally obliged to serve.